Is Educational Leadership In Your Future? Would you like to serve as a public school administrator? 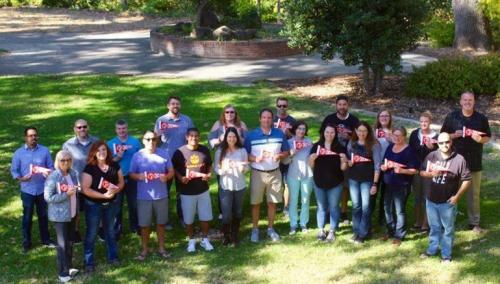 CSU, Chico's School of Education offers a post baccalaureate Preliminary Administrative Services Credential (PASC) for education professionals seeking a career as a public school administrator. The PASC Program provides the foundations of educational leadership necessary to qualify for a Clear California Administrative Services Credential granted through the California Commission on Teacher Credentialing (CTC). With the preliminary administrative credential you can serve as an assistant superintendent, principal, assistant principal, supervisor, coordinator, or other equivalent level administrator in California public schools. The deadline to apply to Cohort 4 is June 3. Classes begin July 9. EDAD 634: Educational Leadership: The First 100 Days - 6 units Meeting Dates: Saturdays, 6/8 & 6/15 Off Campus. Monday through Thursday, 6/17-6/21, Modoc Hall Room 120 On Campus. Friday, 6/21 Off Campus. * Fee subject to change pending final fee approval.